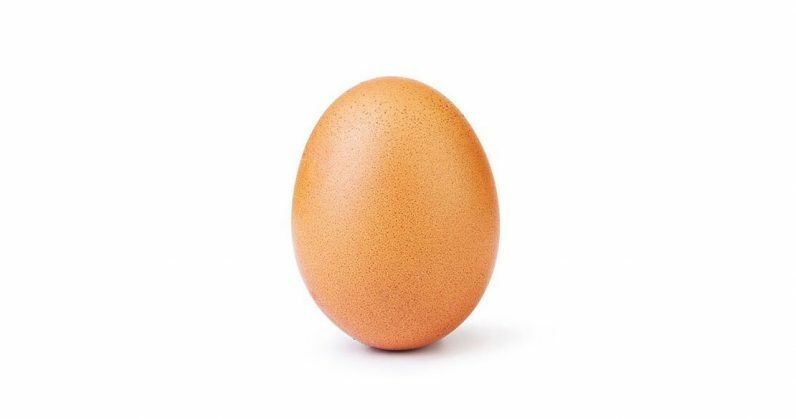 This picture above, of an egg, has racked up the most likes of any single post on Instagram: 24 million and counting. And it beat the last record holder – a photo of model Kylie Jenner’s baby posted last February – by a whopping 6 million in just 10 days. It’s from an account identifying itself as EGG GANG, and it’s the only post from that profile, whose sole reason for existing was to beat Jenner’s record. We don’t yet know who’s behind it, but we’re sure they’re real proud of this monumental achievement. As for the 24 million of you – that’s more than the population of Australia – I’m pretty sure you’ll agree that once you start liking pictures of lone eggs on Instagram, you know you spend way too much time on your phone. Go outside, take a stroll, and take stock of your priorities afresh. And for the love of all that is good in the world, stop leaving egg symbols as comments on Jenner’s photo. Because it’s part of my job, I’ve written to EGG GANG to learn more about them, and I’ll update this post when I hear back. Don’t hold your breath.